A former British soldier will appear in a French court Thursday for trying to smuggle a 4-year-old Afghan girl into the United Kingdom from the Calais refugee camp, local media reported. MOSCOW (Sputnik) —According to The Guardian newspaper, Robert Lawrie met the child when he was delivering aid to the Jungle camp. The girl’s father begged the former solider to bring her to the United Kingdom so she could reunify with her family already in the country. The solder was caught by the British border police in Calais when sniffer dogs found in his van the girl and two men from Eritrea, who climbed in there without his knowledge. Lawrie, charged with aiding illegal immigration, said he acted in a "moment of madness" and out of compassion. Lawrie is facing a five-year prison term and a $32,634 fine should he be convicted. Europe is struggling to cope with a massive influx of refugees from conflict-torn countries in the Middle East and North Africa. According to the United Nations, over a million migrants crossed into Europe via the Mediterranean and the Aegean seas in 2015. 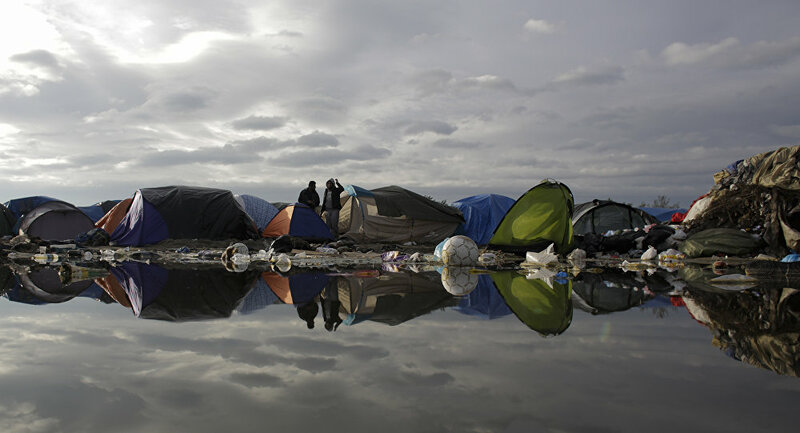 Around 6,000 migrants have been camping out rough for months on the outskirts of Calais, seeking to cross the Channel Tunnel and claim asylum in the United Kingdom.